Home > Resources > Lesson Plans > How rapturous was the reception that Charles II received in London? How rapturous was the reception that Charles II received in London? This is a single lesson that could either be used as an introduction to Restoration England, or in completing a study of the Civil War and Commonwealth period allowing students to assess how warmly Charles II was welcomed as King. Where students are already familiar within the Civil Wars and abolition of the monarchy, the enquiry seeks to consolidate this knowledge by encouraging students to speculate about the image that Charles would wish to present and then to examine and explain how these messages were conveyed and how they were received, drawing inferences from a range of sources. It alerts students to the variety of opinions in England – helping them to appreciate both the strength of the celebration and the anxiety that dissenting Protestants (Presbyterians and Independents, in particular) felt, especially in London. This enquiry relates closely to the film The Royal Entry of Charles II, 1661. It could also lead specifically into a comparative analysis of James I’s entrance to the city, discussed in The Royal Entry of James I, 1604 and more extensively into comparisons across the whole period, looking particularly at the use of pictorial imagery in defending the accession of William and Mary, as discussed in Coronation Medals and Stuart Iconography. Students following the A-Level AQA ‘Stuart Britain; The Crisis of Monarchy 1603-1702’ might study each entry in detail as they reached the relevant period. However, it might be more helpful for students to examine the different celebrations all together, analysing the messages deliberately presented at each of these transition points as part of an over-arching analysis of the extent and nature of change and continuity across the whole period; for example, comparing the entrance of James I into London in 1604 with that of Charles II in 1661 for example, and contrasting that with the iconography used in medals celebrating the accession of William and Mary in 1689 or Anne in 1702, asking how similar or different their purposes and messages were. The enquiry could also be taught as an introduction to the GCSE OCR A unit ‘Restoration England 1660 to 1685’. The extent to which students would be able to predict the King’s likely priorities would obviously depend on their prior study of the Civil Wars and the Protectorate. Where students lack such prior knowledge, the images in the first Triumphal Arch might be used initially to establish an agenda for the first few lessons of the unit: what can we learn from the nature of the procession and from the images used about Charles predecessors? What more do we need to know to make sense of the claims that he was making? A simplified version of the prediction, design and investigative task outlined here might also be suitable for Key Stage 3 students who have studied the Civil War and Commonwealth. Images of the first two triumphal arches through which the procession passed. c) with suggested labels and plausible inferences for students to match to relevant aspects of its design. A collection of response cards that record how different individuals responded either to the King’s arrival in England in May 1660 or more specifically to particular features of his formal entrance into the city on 22nd April 1661. These could be cut up for distribution as individual responses or presented as two collections of sources. The idea of the King’s return could be introduced in a variety of ways, depending on students’ prior knowledge. If they have very little knowledge about the Civil War and Commonwealth then the whole task could be adapted so it sets the agenda for finding out about that previous period (see below) but here it is assumed that students do have some prior knowledge and that the introduction needs to prompt the students to think about the image that Charles will want to project as he returns – and particularly as he processes through London on the eve of his coronation. You might focus from the beginning on the issue of how the king would present himself in the city of London, perhaps by looking back at early work on the Civil War and asking which parts of England might be expected to be more or less welcoming. A third option might be to focus, as some contemporaries did, on the contrast between Charles’ departure from the country and his return. Among the texts related to Charles II is a poem by Rachel Jevon that specifically contrasts Charles’ previous flight from the country with his return. While the poem itself may be inaccessible to most students, the idea of contrast – sketching out the circumstances of each and perhaps asking students to generate two different sets of adjectives that a loyal poet might use to describe each occasion (or – more simply to select between possible adjectives suggested to them) could help to highlight the contrast and help students to focus on the image that the King would want to convey. Ask the students to work in pairs or small groups and to assume the officials in the city responsible for organising events to celebrate the King’s coronation. Remind them of the particular problem of London which Edward Hyde (the Earl of Clarendon) had described as ‘a sink of all the ill humours in the kingdom’ – effectively blaming the city for the Civil War and Charles I’s execution – and the fears that it could not be trusted. You might also explain that in the recent elections when most regions had returned loyal Anglican MPs (the ‘Cavalier Parliament’) London had elected two Presbyterians and two Independents (Congregationalists). Explain that they will have up to £11,000 to spend on a procession through the city of London on the eve of the King’s coronation. They can use this to commission poems and speeches, to hire performers and to construct a series of triumphant arches, but their task is to provide the brief for the writers, architects and designers: what are the key messages that they need to get across. What is it important to try to tell the people of London? What reassurance or encouragement might they welcome if they have doubts? What contrasts might it be useful to draw between life without the King (under Cromwell) and life under a new monarch? Or what warnings, perhaps, do they need to hear from the King? Once the students have identified the messages, they could go further to suggest how these might be conveyed. What kind of imagery might the designers use? It may be difficult for everyone to hear the speeches so what kind of pictures or symbols might help? 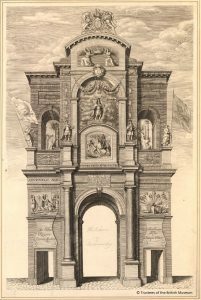 Once the students have presented and justified their own ideas, give out the designs of the first two arches as they are drawn in Ogilby’s account of the ‘Entertainment of His Most Excellent Majestie, Charles II in his Passage through the City of London’ and ask them to identify the images that the designers chose and their meaning (working independently or with annotated versions with labels to match). Which of their suggested messages were used and how did the designers try to get the message across? What other messages, if any, were presented? Why do they think these were also used? Pose the question of how they think people would have reacted to these messages – and how we could find out how they reacted – before giving out the reactions sheet (or individual reactions cards). Students could each look at one or two examples or work through the whole collection. Many of these reactions are also discussed by Professor Ian Archer in the film The Royal Entry of Charles II, 1661 so you might prefer simply to show part of the film and ask students to note the range of reactions and explain why this was. Students could then answer the enquiry question – as a written task – or as a report back to the King (in their advisory role) on the success of the event. 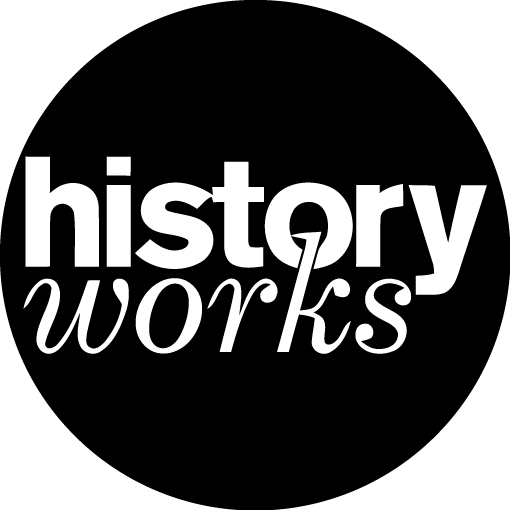 If students have not previously studied the Civil War and Commonwealth, and are embarking on a study of Restoration England, the whole topic could be introduced with this focus on the King’s entrance to London. Students might be provided with images of the first two triumphal arches and with a smaller selection of the welcome/ advisory literature and asked to use them to draw up a list of questions or hypotheses about the previous regime. What do the images, along with the praise and advice that the king is offered, seem to suggest about what has been happening in recent years? This could form the basis of a research task, or simply generate interest in a further matching task linking a relevant explanation to each specific feature identified. This lesson could be followed immediately by the one on the Royal Marriage: Arrival of Catherine of Braganza, which encourages students to think about how some of Charles early decisions and actions may have prompted concerns among those who had initially welcomed him home.